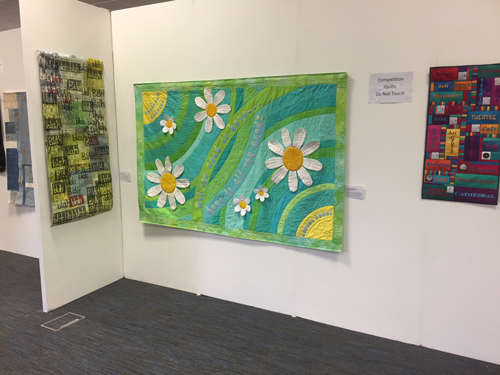 Bishopston textile enthusiasts should check out the 2018 West Country Quilt and Textile Shown which returns for the fourth consecutive year at the University of the West of England Exhibition Centre, Filton Road, Bristol, BS34 8QZ on Thursday August 30th - Saturday September 1st. The show is open from 10am to 4.30pm daily and features talks, workshops and demonstrations as well as traders selling sewing machines, fabrics, quilting accessories, craft accessories, threads, haberdashery, embroidery and quilt kits. A gallery display of modern, contemporary and traditional quilts, embroidery, traditional costumes and embroideries from South West China will be on show. A fee of £5 is charged for entry for competition quilts. The categories are bed and cot quilts, large, small and miniature wall hangings and art quilts. There is a free to enter competition for cushions made using any needlework technique. For a full list of traders, galleries and exhibitors, demonstrations and workshops and competition entry forms, see the website. The venue has car parking and is close to Bristol Parkway Rail Station from which the organizer has arranged a regular shuttle bus. Tickets are £12 on the door, £2 off advance purchase. Quote offer code QTM when ordering on www.westcountryquiltshow.co.uk or call 0117 907 1000.